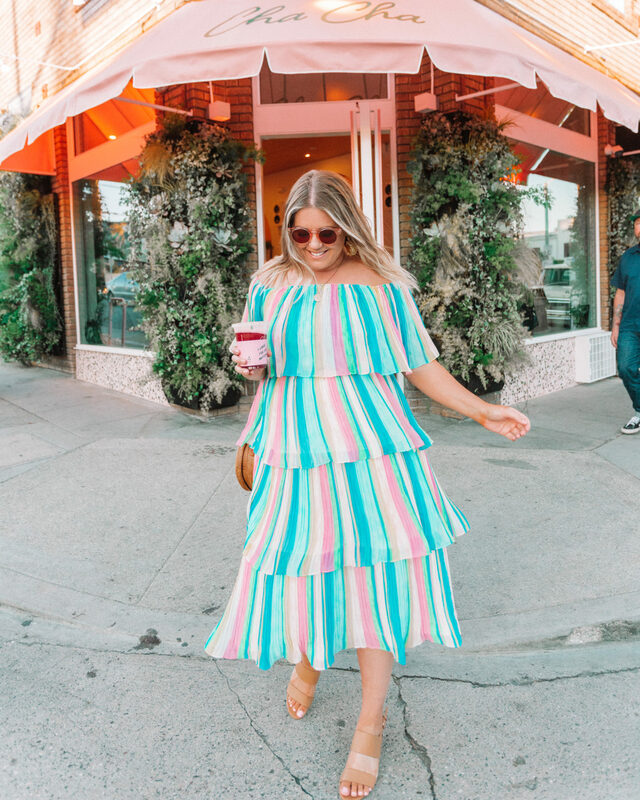 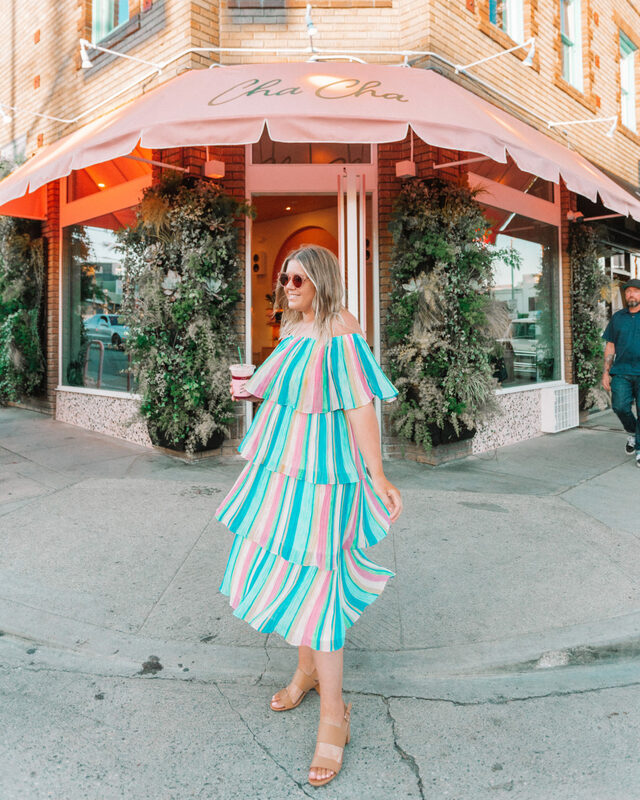 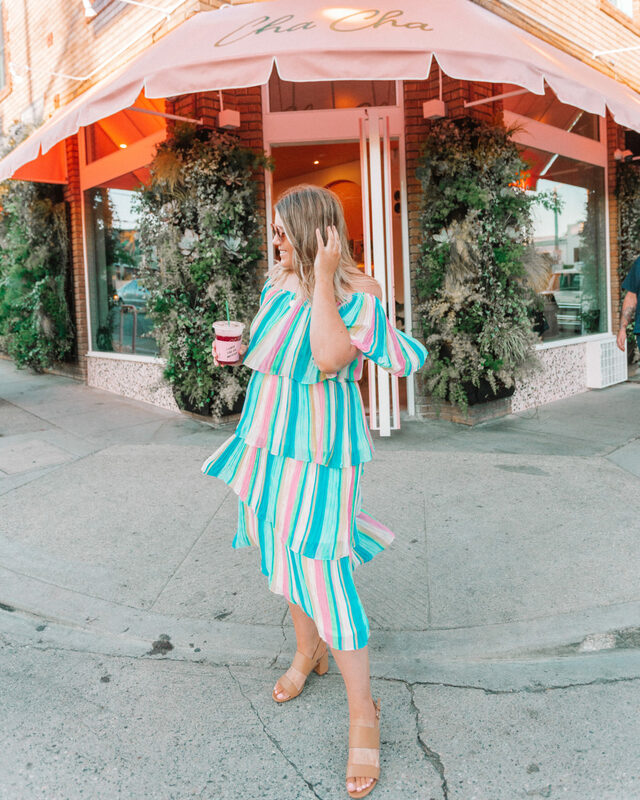 Okay, can we please talk about how cute this rainbow striped dress is?! 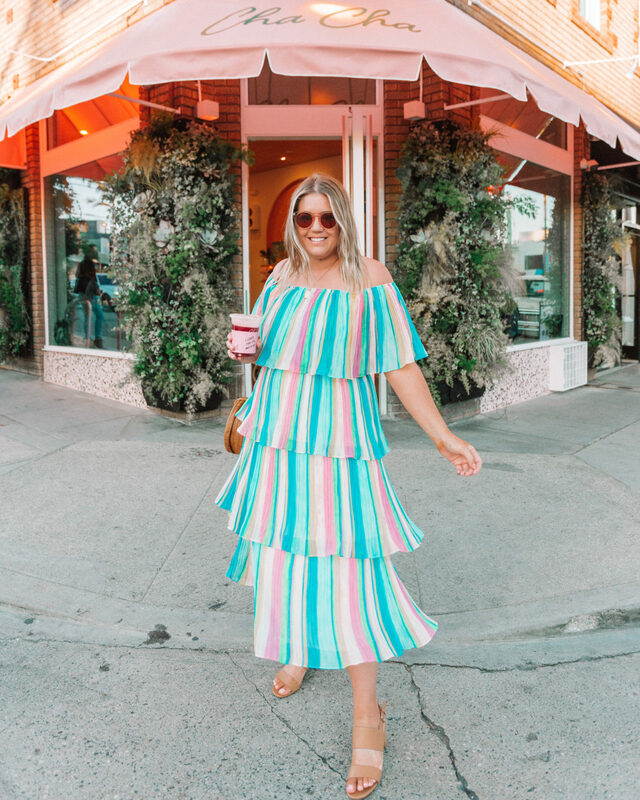 I think it’s so perfect for Spring & Summer, and it would for sure be an attention grabber at a wedding, party, graduation, or on vacation. 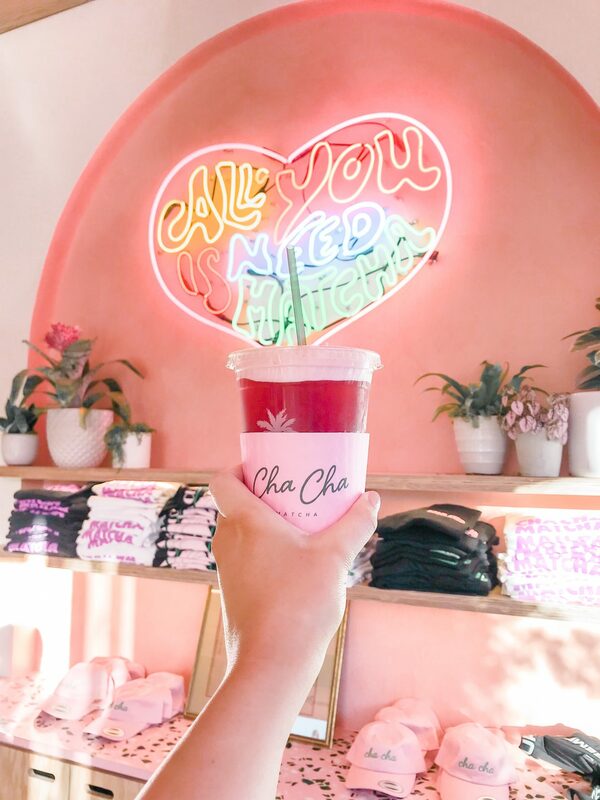 My friend Hadasa and I stopped by the new Cha Cha Matcha location on Abbot Kinney in Venice Beach, and it is SOOO CUTE!! 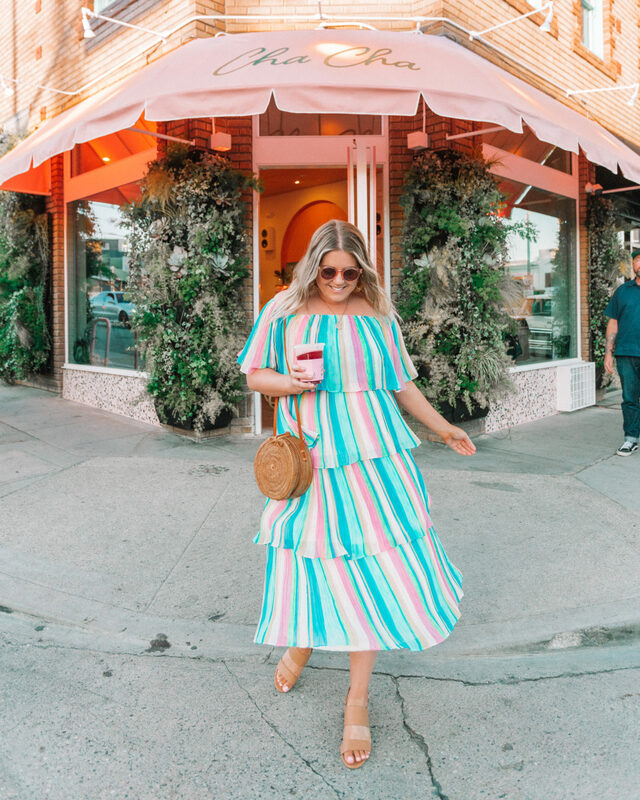 It’s all pink & green & tropical and totally my vibe. 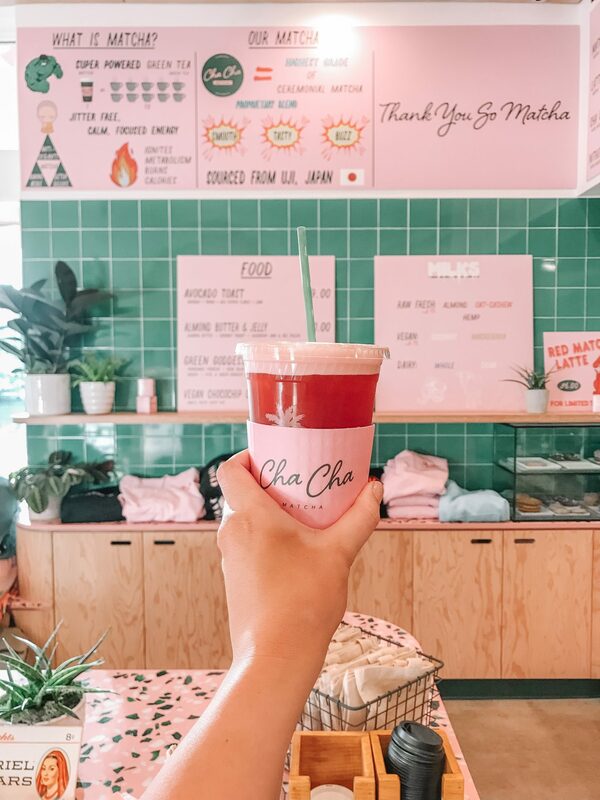 I’m not a huge matcha person, but they have other drinks like this “Pink Drink” that I got, as well as lattes and lemonades with collagen and CBD.